When we moved to Texas two years ago, I really had no idea what awaited us. My husband travels around most of the state for work, so we have spent our time exploring the three major metros and the hundreds of small cities and towns that make up the great state of Texas. We live in Austin, so we are lucky enough to be in the middle of a lot that Texas has to offer. We are just three hours from Houston and Dallas, four hours from the coast and just an hour and a half away from San Antonio. Because of its proximity, we have spent many weekends exploring all of the music, culture, and fun that San Antonio has to offer. Most recently we spent the week in San Antonio for Spring Break. On the way down we stopped to enjoy the wild flowers and take some pictures of the bluebonnets that grow along the side of the road here in the Spring. I grew up in Arizona and had never seen anything like it in my life. Empty fields become a canvas of gorgeous flowers every year around this time. Our first destination was one of the kids' favorites, Sea World San Antonio. There are fun rides and great shows (you MUST check out Azul! ), but we could spend all day hanging out with the dolphins. An interaction like this makes great lifetime memories. If your kids like a little more thrill, 15 minutes away is Six Flags Fiesta Texas. We didn't stop there this trip because we usually start off our Summer vacation with a ride on Goliath. Nothing like being suspended from a rollercoaster at 50 MPH to start your summer. We stayed in our favorite hotel that sits right on The River Walk. The River Walk is a great spot to stay because you are in walking distance of a lot of great food and museums -- not to mention the fact that the River Walk is a wonderful destination unto itself. We love riding the boat up the river and walking to one of the many restaurants for lunch. We usually pick Tex Mex and sit outside watching people and listening to the live music. After lunch it is a short walk to one of the local museums. This trip it was the San Antonio Children's museum. The next day we ventured out to see the heart of Texas history, The Alamo. It is less than a half mile away from The River Walk. Although we visit every time we travel to San Antonio, we never tire of the gorgeous building and the history that it holds inside. You can walk through the chapel and barrack, what is left of the original building, and enjoy relics from the The Republic of Texas in the museum. Both are free of charge. After you fall in love with Texas history you can pick up a memento of your own in the gift shop. When we first moved here we purchased our first Texas flag there. The Alamo flies a new state flag every day and then sells them in the gift shop so that you can own a Texas state flag that has flown over the Alamo. This trip also included a stop at The Witte Museum. My kids love it for the Science Tree House. It isn't everyday you can ride a bike over the river, but The Witte also houses the history, culture and natural science of South Texas. There is so much to see and do -- and just a short conversation with someone on the street will open a door to a new section of the city to discover. We ran out of time to visit the Tower of the Americas, the Institute of Texan Cultures, and the HemisFair Park, site of the 1968 World's Fair. Of course, we did stop at our favorite shopping destination on the way back home. About 45 minutes outside of San Antonio is some fabulous outlet shopping. The San Marcos Premium Outlets houses 140 stores, like Neiman Marcus and Coach. It is a good place to sneak off to while your hubby is playing golf. Unless your husband likes to shop too, that is. Travel Texas and BlogHer are sponsoring a great giveaway to one lucky reader. Please leave a comment telling me where you'd like to visit in Texas. You can request a free Texas Travel Guide from the TravelTex.com website where you can get lots of great ideas! This sweepstakes runs from 5/1/2012-6/1/2012. Be sure to visit the Discover Texas page on BlogHer.com where you can read about other bloggers' adventures and find more chances to win! I visited Houston as a little girl. I would love to see Austin, since I've heard such good things about it. We just moved to Oklahoma this winter. We're planning to take a trip down to Houston/Katy to visit my brother and his family. Looks like Texas has so much to offer that we'll have to take a few extra days just to stop and see everything along the way. I have never been to Texas but I have heard that San Antonio is a great vacation spot. I'm excited to go there in the near future!! 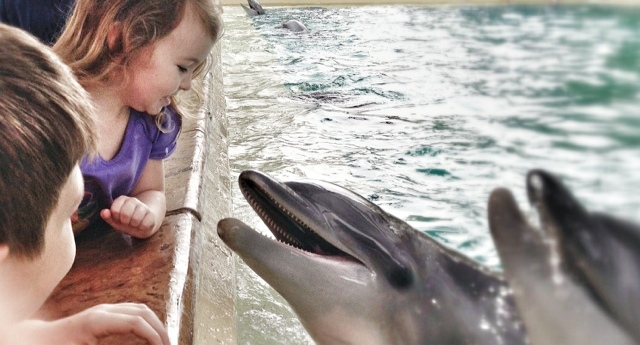 We'd love to go to Seaworld in San Antonio! 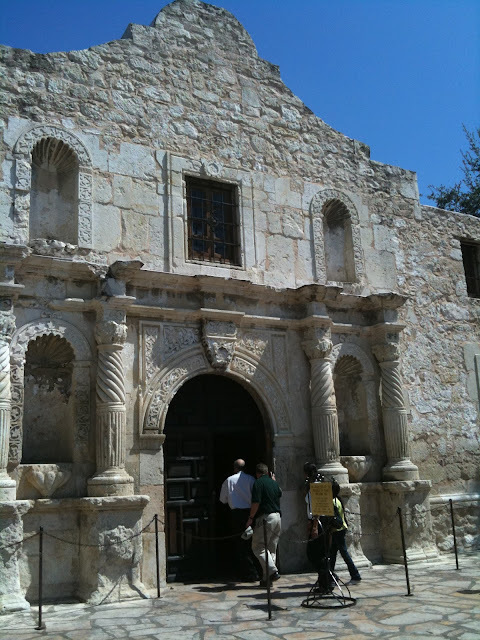 We are driving through San Antonio this summer and I really want to take my kiddos to see the Alamo! I went to San Antonio for my birthday last year and took a walking tour of the city. SO fascinating! I loved it. I would love to visit the Six Flags you talked about in your post! i would like to visit Austin to see all the parks and museums! We live in North Dallas and love to head down to Austin and San Antonio. Love the riverwalk and sea world! Our next vacation will be going to six flags. My kids have been begging me for over a year. Saving our money! I would love to visit the DFW area! I have several friends who live in the area and they always seem to be doing fun stuff! I want to see it for myself, soon! I'd love to visit Corpus Christi. Loved all the photos! One day I hope to take my kids to visit the Alamo. I think it would be a pretty amazing trip! I lived in San Antonio for a few months in 1971 when my husband was going to school at Brooks AFB. I would love to go back and see the River Walk which didn't exist in 1971. One of my childhood friends was one of the architects on the project and I'd love to see what she helped to create. I would love to travel to Galveston! I'm a native resident of SA and so glad that you love visiting! SA is awesome and you def. HAVE to take the kids to our zoo...we love it! There are tons of things to do here and great places to eat. If you ever need ideas or tips, just ask....I LOVE my hometown. I love San Antonio! Thanks for the chance to go back. I want to go to Sweetwater to see my Texas cowboy ! He wants me to move there and become a Texas woman--I might just! Texas, Wow! What a beautiful place to visit! San Antonio is awesome. We were there for a conference and found it soooo interesting. Was a bit disappointed with the selection of Restaurants for a Vegan Raw person. We did manage to make it on our trip to Wholefoods just a bit away from downtown. Now, Austin is another fabulious city. Wished we lived there. Found an awesome Raw Resaurant Called "Beets Cafe" We stayed a few extra days just to eat there and Wholefoods is downtown which is an eye-opener for sure. Love Texas, Can't say enough good about it! Visit Kerrville. another great spot. I'd like to visit Houston. We just moved to DFW and haven't been to San Antonio yet! Looks like a fun day trip! I would love to visit San Antonio. It looks like a beautiful place. Also, my husband and I have a close friend who lives there and it would be wonderful to see him again. Thank you for the great giveaway! Great post! I wish our family trips were even half as well thought out and exciting! A place in Texas I'd like to visit...Besides your house? ;) River Walk sounds right up my alley! San Antonio sounds like fun, but I really want to go to Austin! I'd like to visit San Antonio. I have a friend who moved back to Texas and he's living there now. I'm hoping we'll move there too soon. I would love to visit Austin for amazing food, great music and a great time! Well I live in San Antonio, so I don't want to visit it but do agree that's it's a great city! I would like to visit Big Bend though...I've lived in Texas my whole life and have never seen it! Ever had that one friend that is such a kindred spirit that even though you haven't seen here in years, when you talk it's like you pick up right where you left off. Well that is the way I feel about my best friend Amy! She lives in League City, TX and I live in Illinois, so I would love to go and visit her! oh the so many places I'd love to visit in Texas! the Centennial Museum & Chihuahuan Desert Gardens in El Paso is one of them! i've been to san antonio twice now, and i wouldn't sneeze at a third time :) but i'd really like to explore austin! I'd like to visit San Antonio. I would love to visit Corpus Christi, where my husband spent much of his childhood. I've never been there! I would love to take the kids to the San Antonio Childrens Museum during summer break! i would love to visit san antonio!! i hear the air smells so fresh there! Thanks for a super giveaway! I would love to visit San Antonio! Thanks for a chance to win and have a great day! I would really like to visit Houston one of these days. In addition to visiting an old friend who moved there some years ago, I'd like to see an internet friend who lives there. Camping and hiking in Big Bend! We just moved to San Antonio 7 months ago, and it sounds like we have so much more to discover!! My heart belongs to Houston! My Dads family is from there and I have fond memories of going there!. I also love Galveston! I'd love to visit San Antonio again! I would love to visit Dallas, where a couple of my cousins live! Thanks for the chance to win! I went to Austin once in grad school for a conference and would love to go back. I've never been to Texas--I'd love to visit Austin, I've heard so many amazing things about the food and art scenes there--and let's not forget the music! I want to visit fort worth gardens and the zoo, and go shopping. Thanks for the giveaway. Sadly I've never been to Texas...one day! I would love to visit Houston, and catch a Houston Dynamo game while we're there! My son did his State project on Texas this year and desperately wants to go to San Antonio to visit the Alamo! We visited friends in texas a couple years ago and loved all the family friendly things to do! I would like to go to Johnson City and visit the Johnson ranch. I went to college in TX and would love to go back to a number of places. One area that I wish I had gotten to explore was Fredericksberg. I've only driven through a few times and it was so pretty. I would like to visit Austin. I have really fond memories of Galveston, but I'd really like to visit Austin and see some of my old college friends! We would love to visit Dallas or Austin. Not Houston though, been there done that. I would love to take a trip to Houston, Texas...my husbands family lives there and I've never met them, nor has our 4 year old son lol and I know they would love to see all of us! I don't really care where as long as I can try some Texas BBQ! I know Amarillo has the 72oz. steak challenge that my husband would be all over! I'd love to visit San Antonio! I'd love to go visit our family members who live just south of Houston again. I would like to visit Austin. My friend lives there and it would be nice to visit her. We used to have season passes to Sea World in Ohio...I'm sad they had to close. Would be nice to visit Texas and go to Sea World again! I've lost many friends to the great state of Texas. I know they will never leave. I'd love to go to Amarillo and visit a good friend there. We have been friends since Jr High! 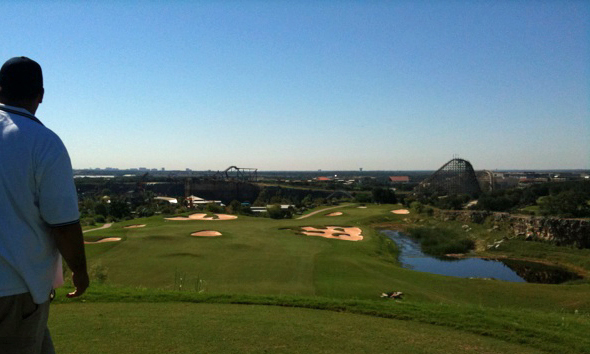 I would love to visit Houston along the Golf Coast! Thanks for this opportunity. 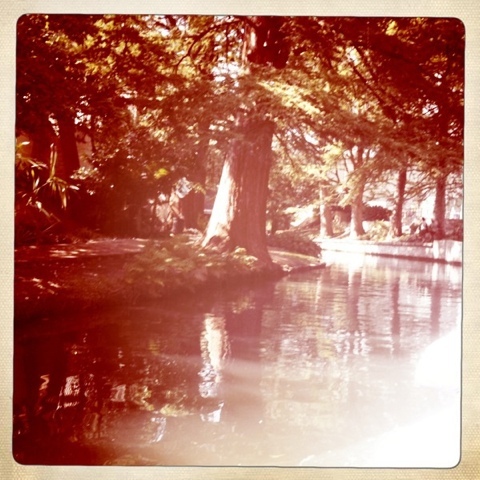 I would love to visit San Antinio again. My mother lived in Sequin for about 10 years, so we used to go down each year for Christmas, but it's been about 10 years since I've been there. The Riverwalk is so beautiful at Christmas. I'd love to visit Austin! I would like to visit Houston the biggest city in Texas and visit the 1940 Air Terminal Museum as well as the Bayou Bend Collection of the Fine Arts: 28-room Latin Colonial Structure. San Antonio has been on my wish list for a long time. I've been to Amarillo but not any further south. We usually visit Houston at least once a year, for some shopping that we can't do in Louisiana, but I'd love to go a couple more hours in the car to see Austin. I've heard so many wonderful things! The Alamo for sure. My husband is a history-buff and has said for years we have to visit. I'd love to see all the artifacts people have found. I would love to visit Brazos Island State Park! Out in the Gulf with no buildings...just me and nature and the ocean...bliss! Although I am proud to live in the great state of Texas... I would love to visit Austin again- it has been years since I have been to that part of the state! Austin! It seems like such a cool, weird town! I've never been to TX but my aunt has a winter home there, so I hoping to in the future. I'd love to visit San Antonio, even more after reading your post! My husband visited there on business a few years ago, and he loved the food on the River Walk. Hope to make it there someday, too! I'd like to go to Canton. I would like to go to Houston. My niece lives there so it would be a good place to start. I was in San Antonio more than 15 years ago. I would love to go back with my family and take my daughter this time. I would love to visit the Dallas Fort Worth area and check out a Cowboys game! I love the beach so would love to visit Galveston. We have actually been to Sea World San Antonio before. We loved it and so did the kids! Someday if we ever go on another trip to Texas, visiting the Alamo would be a must. I’d like to visit Austin, Texas to attend the SXSW festival.